Things are moving along nicely. Saila and I have now started the English version of the succcessful Oman Elämänsä Prinssessa blog, under the titular The Princess of her own Existence. Rather dramatic name, but the story and journey of Saila are just that. Dramatic. but I do know something about self-harm, depression and issues with eating – perhaps that is why I have always felt strongly about Saila’s experiences. And that is why I believe it is a journey worth sharing. Saila has very unashamedly shared deepest personal feelings and shown an insight to the world of a woman, a mother and a wife in the grips of depression. Something too many are still afraid to admit, to speak of and to express as openly as Saila does. 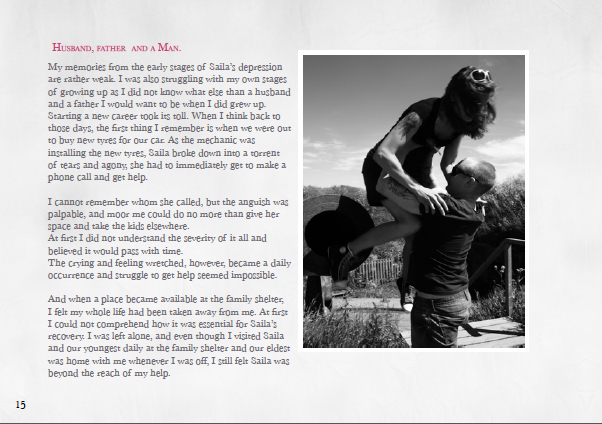 What women endure in silence is exactly what Saila expressed loudly and proudly – together with her husband, Timo. They have been a team since the beginning, with Timo eventually becoming Saila’s photography partner. No one ever thinks about the father in these situations, sadly. Therefore, for the Pursuit Project it was clear from the beginning that we wanted to include the father’s perspective. In the sample book this was one spread, but in the plan for the full-length version the father’s contribution will be much more extensive, both in form of his own words and the photography. At the moment, Saila and I are focusing in creating more space for the project in forms of social media and contacting publishers and potentially also agents. Although, honestly, I wouldn’t mind taking the role of agent here. 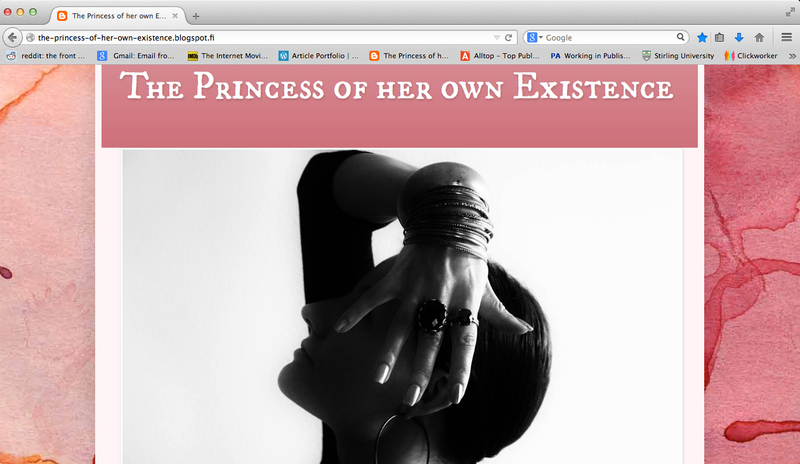 This project, for Saila as well as for myself is very personal. For very different reasons, probably. The next exciting part is that Saila is attending the Helsinki Book Fair 23–26th October, and will hopefully be able to reach a lot of people. 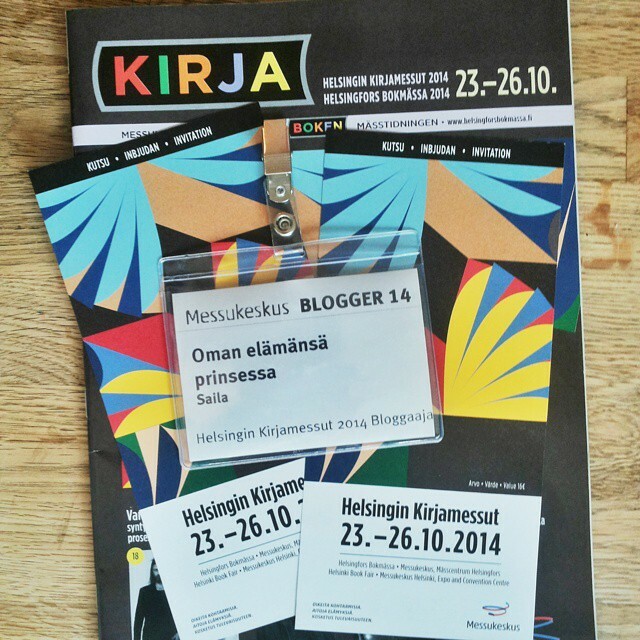 Helsinki Book Fair is very different to the other book fairs that I have been lucky enough to be acquainted with. Another thing the Finnish publishing and Finnish literature are doing right, and the world fairs would have a thing or two to adopt from Helsinki Book Fair. The Helsinki Book Fair is an open doors event, meaning that it is not aimed just for the trade people but invites the public, which directly results into having more visitors, more acknowledgment and more spread. And finally, the Helsinki Book Fair has the policy of actually selling titles at the fair not just representing them, which has a direct correlation to the popularity and spread of the reputation and success of the Book Fair itself. As the idea for the book begun as a graduate project for the University of Stirling, the final work was submitted as a sample of a book. It was always about creating something necessary, something for where there is an obvious market gap – and even bigger necessity of accessible, first-hand experience. 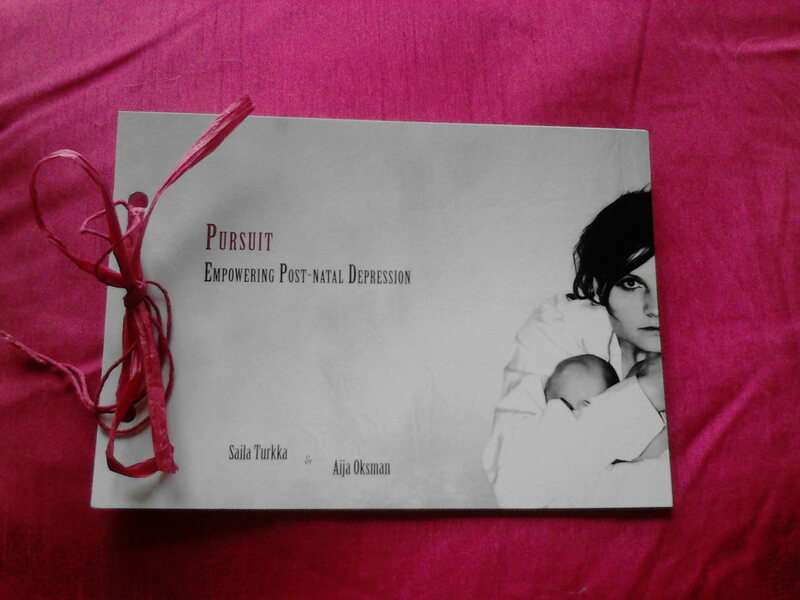 Simple reason why Saila and I are working at creating this book, is to provide those suffering from postnatal depression with assurance that there is a way out, that it is not a taboo to speak out and you will not be stigmatised for admitting you need help. The first step to admitting and accept you cannot do it on your own anymore, is hearing it from someone who has been there before. Saila’s openness, perseverance and current position as a spokesperson and mental health experience expert are an inspiration. A cry baby, difficult child, always whining and making a fuss, running about with no aim, singing and making up stories, screaming when unhappy, laughing when happy. Every emotion conceivable out on the open, like a one-child-full-circus performance. That was me. To certain extent still is. But it’s different now – less outward, more inward. I like to act up, be a little crazy, hyper and hype others around me. But sometimes I do feel the pressure and sadness in me, struggling to get up some days, having trouble sleeping during others. In my previous post, I mentioned how working on Saila’s story had me facing up my own inner feelings, the hidden depressive episodes or trying to come to terms I don’t have to carry the world on my shoulders – just myself. It was easy, as an emotional, uncontrollable child to just burst all the emotions out, make everyone aware I was having a feeling right then and there. But that caused a lot of trouble for me when growing up. I learned that not everyone wants to be part of my kaleidoscope of inner experiences. But at some point, somewhere around the time I was, oh, fifteen or so, I lost it. I wouldn’t, couldn’t cry, not in front of others. I was scared of that side of me. And I taught myself not to. I trained myself to hold back, keep control. Instead of crying, I might get really angry. I would still experience the rollercoaster of emotions, but I would rather keep the negative in and let the positive out in massive bursts. It was, and I was, exhausting. But see, crying is good for you. It lets out pain, stress, fear, anger… It makes sure you won’t consume yourself in all those emotions. I was just recently reminded by some good old friends how I shouldn’t pretend all is good when it’s not, I should tell them, reach out and let go. That there’s nothing wrong feeling bad, just as there’s nothing wrong feeling good. No one is omnipotent all the time.What with master thesis hand in day looming ever closer, once and a while a good cry is needed. Secretly, over the past couple years, I’ve discovered what I call “the crying therapy”. There is a time and a place for showing your emotions, but not showing any isn’t healthy either. My therapy is simple; I deliberately read or watch something that I know will get me emotional. And I’ll keep watching and reading till I actually cry. I try to unblock a flood of stress, anxiety and fear that builds up as part of a normal ever-day experiences of being a student, of living far from your nearest and dearest or just being so damn tired that you need a good cry to balance yourself. See, I’ve always been extremely emotional, but a lot of the times I’ve been too afraid to go with it. I’m trying to learn that if it makes you cry, cry. There’s a reason for it. Twelve Years a Slave (Solomon Northup) – and other slave narratives, which were my primary focus in African American literary studies in Salzburg – real stories, real people… You know? And more recently, I shed a good few tears over The Guillotine Choice (Michael Malone and Bashir Saoudi). Music… This is harder to pick examples from. It gets you unexpectedly, anytime, anywhere and it can be a silly pop song you have memories with, or something that brings back bad memories, or other kinds of memories, confused thoughts, or brings you back to childhood fandom. It is said that one in four has some form of mental illness. Look around you; if it’s none of your friends, it’s probably you. The easiest to ignore, when there is so much to do, to achieve, to learn, to perfect, is yourself. What you need and should have around you to be that perfect person you long to be. A while back I began a project for my MLitt studies together with Saila Turkka, for the lack of a better word – my “cousin” (my mother’s best friend’s middle daughter whom I more or less grew up with, so as good as a cousin, right?). The project is to show off the MLitt students’ abilities in all the things we’ve gathered in our knowledge and skill baskets over the length of our studies. Mine became a sample for a book that is in planning (and in making as soon as a sponsor/financial backing/commissioning is secured) on Saila’s first hand experience as a mother with post-natal depression. I was lucky to have such a fantastic project partner in Saila – the back and forth with us was continuous, ideas were flying and the project was changing weekly, if not even daily. From humble 16 page plan into the final 28 pages it was a journey of learning and exploration. Saila is an inspirational woman. She is a woman, a mother, a wife and a survivor. The way she openly discusses her journey from succumbing into post-natal depression, with links to her past depressive phases, through her struggle to find proper care into her current life as an artists and a chairperson of HELMI, non-profit mental health organisation that “wants to attack prejudices held against psychiatric patients and those who are not in the mainstream of society”. The project was my chance to explore and use CS6 that I had no previous experience with (and I have to say, it is a wonderful creative program, a must-have!) and to be creative again. I missed that. I don’t think I have delved so deep into something creative in years. What made it an exploration was how all the discussions, all the research and how close I was with the project, how it made me look back inside the pits of my own mind. I have always been a loud, non-stop speaking, hyper personality (overwhelming in my excitement) – at least out on the open. But in my own mind there are recesses and pathways that I prefer not to wander about too closely. Remembering how some years ago it had a very adverse reaction when I did. I like to be in control and I like to fill any silence with noise, either with my actions or incessant blathering. I have had many a teacher, professor, friend and family sigh and roll their eyes at my out-of-controllness. Perhaps it is all combined or symptomised with my ADHD, but surely part of it is just me. Just me not really being comfortable in my own skin at times. And this causes marked times when I cannot function. On top of that, the past couple years a lot happened that had my head spinning, made me work nearly non-stop and despite people I love telling me to slow down, cut back and take some time for myself I couldn’t and wouldn’t. I was afraid to stop moving. I believed that I would crash if I stopped. But what actually happened was that because I didn’t stop, I crashed. I cried randomly, and not that sweet few tears that you just can’t hold back – but that big ugly mess of a wallowing in my own inabilities kind of blubbering. But naturally only when no one could see or hear me. I would also collapse on a few occassion on my way home, literally down to my knees, as I couldn’t breath, couldn’t comprehend the street in front of me and my body literally came to a halt. Panic attacks settled in. Ultimately I got yelled at by my mother to actually take some fricking time off or else… And what I did – as a 28 year-old in charge of my own life who doesn’t need her mother to tell her what to do, right? – was go see my doctor and she immedialtey signed me leave for stress, anxiety and symptomatic insomnia. The first week I would still wake up very early, as I was used to it, but all I had enegry for was move from my bed to the couch. And watch TV all day. Second week I still woke up early, moved to the couch but would even read books now (good books, great books, interesting books). Third week I started seeing and talking with people again, and realised all I needed was time off for my body to function again. What comes to the functions of my mind, well, that is a whole other matter that is yet to be determined. 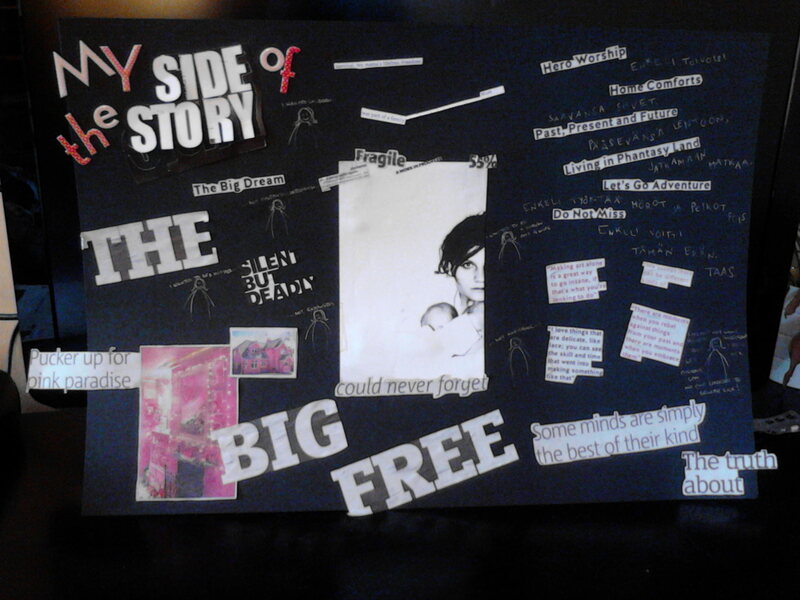 The project had a profound impact on me. It got me thinking. It got me wondering. It got me to admit perhaps, just perhaps, my emotional turmoils do need more attention than I allow them for, before they are to swallow me up as a whole. It is never, ever easy to admit there might be something wrong, there might be something that needs looking after, that you are not perfect and invincible – especially when that something is not palpable. What Saila has taught me is resilience, to learn from what we go through to become who we are meant to be. 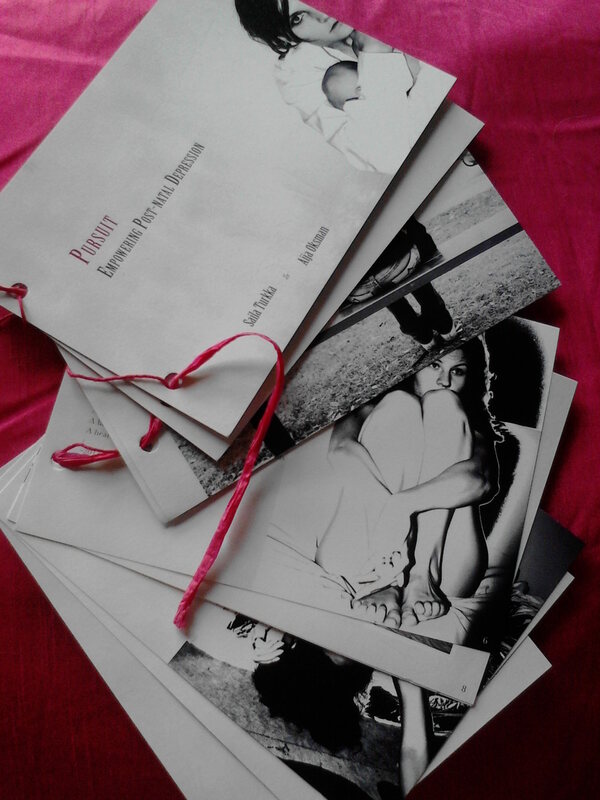 Pursuit was and is for me much more than an university project. I am now stronger and happier, I am ready for my future and I am my own person.